Found one file extension association related to Formulator Tarsia and 1 file format developed specifically for use with Formulator Tarsia. Formulator Tarsia known earlier as Formulator Jigsaw is an editor designed for Teachers of Mathematics creating the activities in a form of jigsaws or dominos etc for later use in a class. 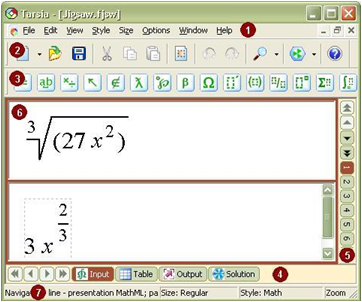 It includes the powerful equation editor for building the math-expressions for the activities. An advanced feature of text placement along the side of the shape makes this tool irreplaceable software for fast activity creation. Formulator Tarsia became a powerful tool for learning activities since it supports the activity templates. It enables easy support of teachers and gives them new perspectives to development of their teaching activity. If you need more information please contact the developers of Formulator Tarsia (Hermitech Laboratory), or check out their product website.